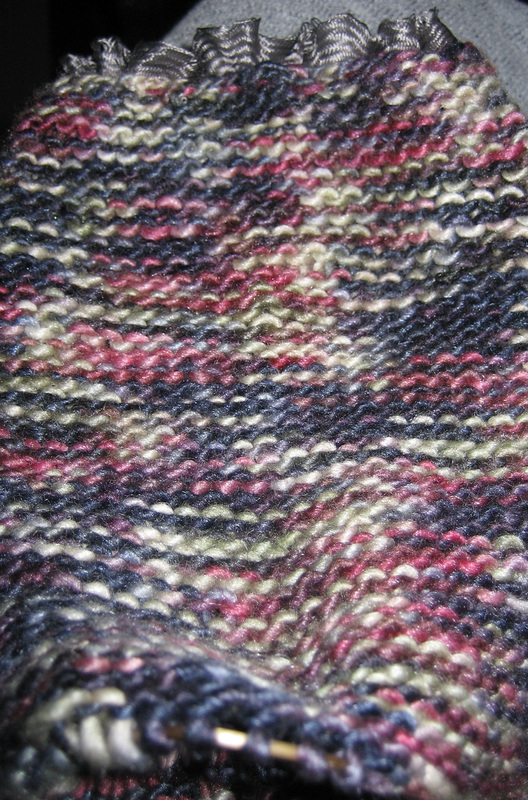 Right ok cast on as the flame was lit –just late in logging on to blog about it .No surprise I am using the manos merino and silk and I am doing a geometric based top. Started with the sleeve and after a few hours today I have made good progress and 6inches in length to go . 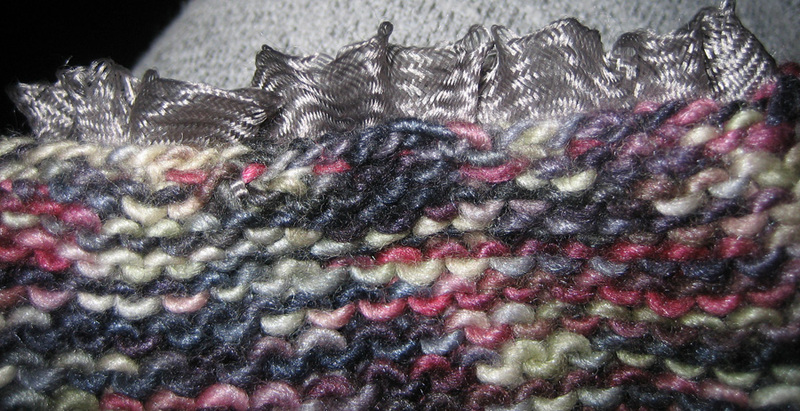 Sewed my trim on the cuff asI went along just to make sure I liked it this is the twisted silk ribbon from Loop . Piccies here –aim is to have the whole garment finished by the time the games finish –of course . You GO lady!!!!!!!! As ever you have an amazing project on tap………….. my wip project rather pales in comparison!! !